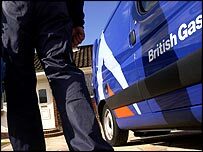 A strike planned by British Gas engineers for Monday has been called off as talks to avert further action carry on into the weekend. The GMB union and British Gas have spent two days trying to reach agreement over plans to close a final salary pension scheme to new staff. About 6,000 workers have voted for a series of walk-outs over the row. Engineers staged a 24-hour walk-out on Monday, and another strike is still scheduled for next Wednesday. The talks are continuing between union negotiators from the GMB and Chris Weston, head of British Gas services. Despite cancelling Monday's strike the engineers, who repair household boilers, still plan further action on 21 December, and again on 6 and 9 January if no resolution is reached. Staff will still start a work-to-rule at 8pm on Monday - meaning out-of-hours cover will cease. It is set to continue until 23 December and again between 4 January and 10 January. The GMB wants the company to suspend its pension fund decision for a year while the scheme is re-evaluated. However, British Gas parent company Centrica has said its new pension package is one of the best on the market. It said the long-term viability of the final salary scheme, to be closed to new entrants from January, depended on the changes.